Missouri is predicted to receive a lot of rain over the next few days, and the National Weather Service is warning people to be paying attention. This graphic from the National Weather Service shows the predicted rainfall totals for Missouri for Friday through Monday (click for larger size). Forecasts say a large portion of central to northern Missouri could receive four to six inches of rain by Monday, with up to eight inches in local areas. Other regions farther north and south could get two to four inches. Meteorologist Ben Miller told Missourinet a cold front that could produce some severe storms this afternoon and evening will be the focus of showers through the weekend. 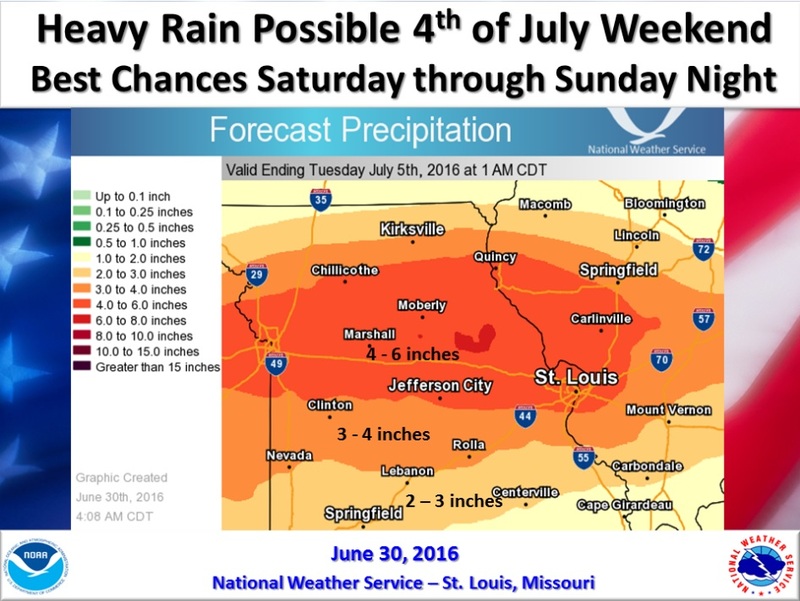 The Weather Service is concerned about possible flooding, especially because it is a holiday weekend. Use the Transportation Department’s Traveler Information Map to find the latest road conditions when heavy rain or other weather occurs. Click on the image to go to it online, or find links to the apps for Apple and Android in this story. Miller said how great a flooding threat the predicted rainfall poses is difficult to say. Miller encourages people to pay attention to the weather and traveler information, and heed warnings if and when they’re issued. He said right now it looks like rain will be ending from northwest Missouri through southeast Missouri through the day on Monday, but some parts of southeast Missouri could still be getting rain Monday night and that could interfere with some fireworks displays. 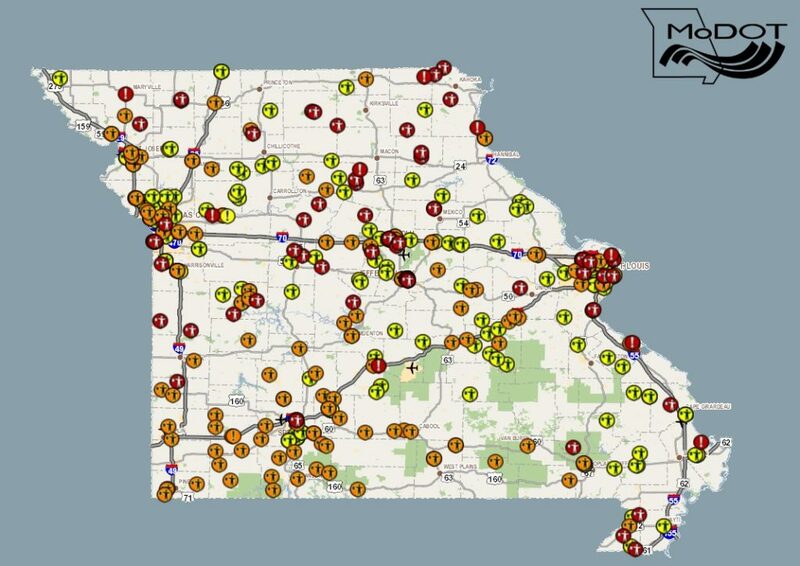 Find Missouri road conditions with the Transportation Department’s Traveler Information Map, which is also available as an app on Apple or Android. For information for your area, tune in to your Missourinet affiliate station and visit these Weather Service office websites.